We are indebted to Sophie Carluer in helping us learn more about the French tenure of the Glory Hole or Ilôt. The following descriptions from early 1915, taken from a letter, report, citations and a poem illustrate the ferocity of fighting at La Boisselle and show why the sector became such sacred ground to the Breton troops who held it. 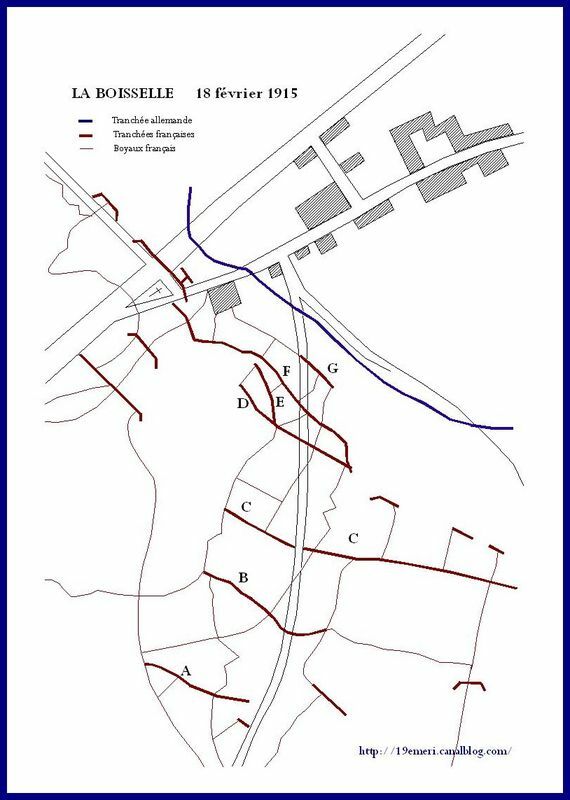 19th Infantry Regiment, 18th February 1915 Report of events and work carried out during the day of 17th and night of 17th – 18th February 1915 Intense shelling of the area mostly by 77mm shrapnel shells. Over the past two days the German artillery fire has much increased. All work during the day is impossible since any freshly turned earth attracts enemy artillery fire and the night work is delayed. The front line trenches have been blown-in in several places notably in the trenches C, F and the cemetery trench. In trench F a platoon of machine gunners was blown-in, without loss of men or equipment. Regimental losses: 2 killed  and 6 wounded. Through research on the Mémoire des Hommes website Sophie Carluer located two soldier of the 19th Infantry Regiment killed on 17th February 1915: Jean Guillaume Gourvez & Pierre Jestin. Battalion commander VIOTTE In all circumstances has proved having the best military qualities, notably on the 7th February, whilst leading a counter attack on the mine crater lip occupied by the Germans and giving a single company from his battalion such energy that they alone managed to force back the enemy, killing 120 to 130 of them. The 8th Company of the 19th Infantry Regiment Ordered to attack German mine craters, it resolutely carried forward and after rapid fire, dealing with the enemy with the bayonet, forced them to abandon their position, leaving behind about 200 dead on the ground. Captain MAILHOL Having received orders to be ready with his Company to support the advance of the 8th Company on the lips of the German mine craters, he personally placed himself beside the commander of the attacking company, who he accompanied during the entire operation in order that he might know when reinforcements were needed and be able to deploy them rapidly. Has been slightly wounded in the head by a shell splinter. 2nd Lieutenant GOASDOUE On the 7th February, ordered to lead an attack on the mine craters occupied by the Germans, led his company with remarkable dash, and, in spite of losses experienced in the previous night by mine explosions, was able to hold the position for two hours under violent infantry fire giving to everyone the highest example of courage. 2nd Lieutenant QUEMAR Fell gloriously leading his platoon on 7th February as he was occupying a position which he had just taken at bayonet point. Adjutant CAUDAL On the night of 6th – 7th February, was in charge of an advanced post. After the explosion of three German mines buryed half of the men in his platoon, he advanced without hesitation, with the survivors, to occupy the lip of one of the craters and prevented the enemy advance. He held out at this position with the utmost energy. Adjutant SEVERE After the explosion of German mines in an outpost in the night of the 6th to 7th February, he went to the front alone through damaged communication trenches to obtain precise information on the situation in our advanced trench. Corporal GUIZOUARN On 7th February he showed great bravery in rushing to the front of his section in the crater formed beyond the front line by the explosion of a German mine and was badly wounded. Private BELLEC Buried by the debris of a mine explosion in the night of 6th – 7th February and extricated by two German soldiers, he succeeded in escaping from them and regaining our lines. Privates RAYMOND et LE GOFF Have, in spite of the greatest danger, brought back the body of their officer who was killed during a bayonet attack on 7th February. 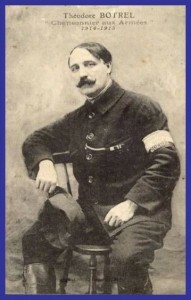 Sophie Carluer notes that this officer was without doubt 2nd Lieutenant Quémar. Only the gusts from the shells whip us in passing. Made sublime, Oh glory, and for forevermore. ‘Stick it out’ combines with ‘kenavos’. As do children on the graves of birds. Under the stroke of their picks, one evening, reappear. A soldier just beyond the grave, in the ranks. Sleeps the great sleep of heroes and gods. May they rest in well-earned peace. thank you for this homage for the breton soldiers.